State-owned freight rail company Transnet has issued summons to former top executives it says are implicated in financial mismanagement with a view of recouping some of the squandered money. 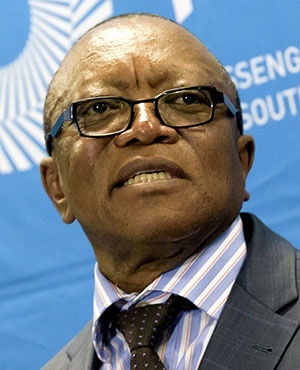 Popo Molefe, chair of the Transnet board, said on Thursday morning at a media briefing that civil claims worth R1.3 bn had been served on individuals and companies. “One would not be exaggerating to say what we found there was a horror show,” he said referring to the extent of financial mismanagement uncovered by the new board, which was appointed in May 2018. “We have issued summons to executives who are on suspension and those whose contracts have been terminated,” said Molefe who was giving the media an update on the operational status of the state-owned entity which has been mired in allegations of state capture and maladministration. Molefe said Transnet is reviewing a controversial contracts for 1064 locomotives, saying the company did not need all the trains. It is in the process of reviewing the contracts. The acquisition of more wagons would be informed by business requirements, said Molefe. He added the company would have needed 953 locomotives up to the year 2025. “We are dealing with a company that requires the locomotives, but what we are looking at [is] that we did not need the 1064 over the three-year period. We are reviewing the business case,” he said. The locomotives were sourced from China South Rail, China North Rail, General Electric and Bombadier. “The contract as it stands has to be reviewed,” he said. Molefe revealed Transnet had been called to appear before the Commission of Inquiry into State Capture. “The capturing of state entities started at Transnet….but because it’s complex we did not appear immediately,” he said. He said “given what we have uncovered” Transnet would have volunteered to appear before the process even if it was not called. Molefe, who was in May 2018 appointed by the Minister of Public Enterprises Pravin Gordhan to head the group's interim board, has been tasked with the restoring governance. “Some of the key architects of state capture had turned Transnet into a piggybank. Some went to office to loot, but I must hasten to say, there were many people who knew nothing and did their jobs,” he said. Following Gama’s exit, Tau Morwe was appointed acting group chief executive in November. Molefe said the appointment of a permanent chief executive would be delayed as the board was focused on stabilising operations.